Why take a chance on one of the most important decisions you can make, sleep is so important it can affect your life on a daily basis. Comfort and support is crucial in getting the best night sleep possible, how can you know if you are going to get the comfort and support without testing the bed BEFORE deciding if you want to purchase it. 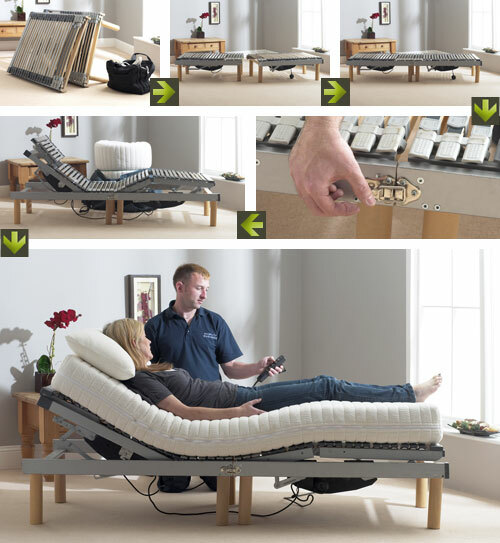 People often say after testing our bed “I wish I had bought one 10yrs ago”. This is how we set our bed up for you to test in your living room. YOUR 7 NIGHT TRIAL STARTS THE FIRST NIGHT YOU SLEEP ON YOUR MATTRESS (mattress only).